Hey friends! So, after two weeks of having my nutrition 100% on point I am feeling so, so, so good. My weight hasn’t really changed and whatevs, I feel great, have been having awesome workouts and am looking leaner, so I’m super pumped! It makes it easy to stick to it when you can see and feel the results. 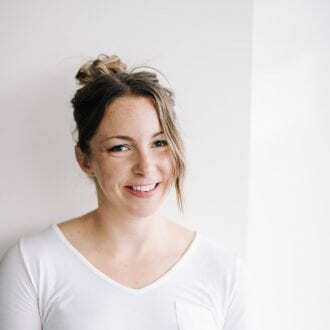 Today I’m sharing more foods for vegan flexible dieting that I hope will give you some ideas on how you can make this work for you! Tomorrow will be exactly 2 weeks into my 12 week nutrition challenge ie. 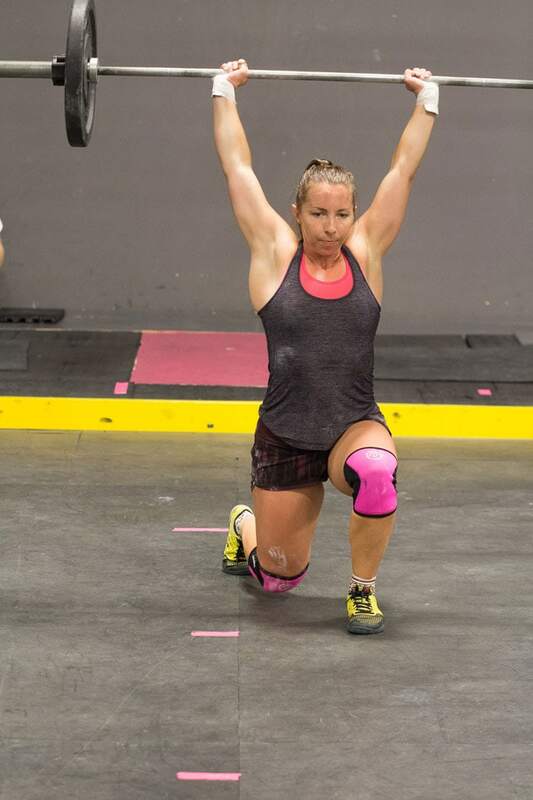 tracking macros in order to improve performance and body composition. My macros are not challenging to make work at this time, I’m eating 205C/155P/55F daily and once a week, I eat an extra 100 grams of carbs (those days are the best ever). Today I wanted to share some more specific foods for vegan flexible dieting that I’ve been enjoying recently. 1. Sweet spiced roasted carrots. 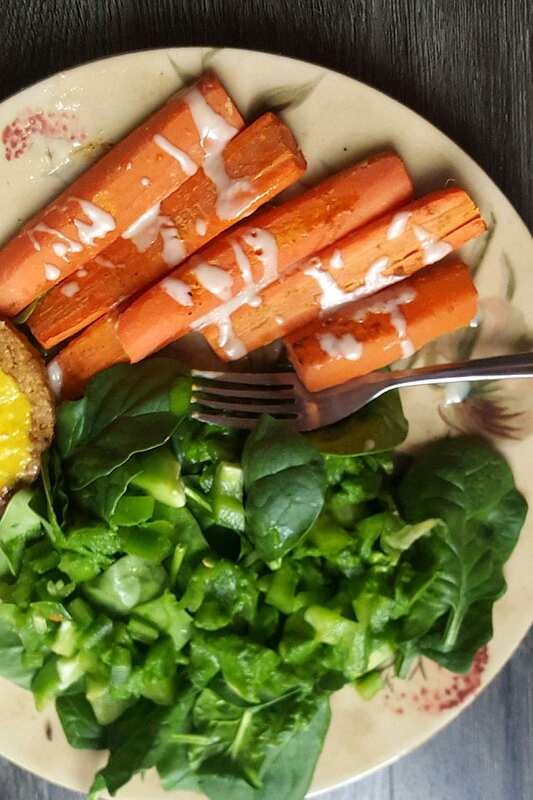 Current obsession: oil-free roasted carrots with spices and a few drops of organic stevia. My favourite spice combinations have been cinnamon, coriander and sea salt, cumin and sea salt and cumin, coriander and sea salt. You only need 2-3 drops of stevia for around 8 or 9 carrots for a perfectly, subtle sweetness. When you’re trying to stay within a certain range of carbohydrates and you LOVE carbs, you gotta reach for high-volume foods. These work perfectly for this. 3 large carrots comes in at around 20C/0F/2P. Perfect. I’ve been having these as both a side and snack and they are yum, yum, yum! I love them with a drizzle of tahini after they’re cooked. It’s so good! To make them, peel your carrots and slice them lengthwise. Toss in a bowl with desired spices and a tiny bit of stevia then roast at 400 for 15-20 minutes until tender. If you aren’t a fan of stevia, you can certainly leave that out. Bonus: carrots offer a whack of most excellent vitamins and antioxidants! 2. Zoodles and zucchini any which way! Next current obsession: all the zucchini!! Zucchini is the perfect flexible dieting food. I love pasta but I don’t love how it makes me feel or how it uses up most of my precious carbs in one sitting, so the next best thing is zoodles! You can top them with fat-free pesto, tomato sauce and lentils for a spaghetti-inspired dish, or even a simple sauce of lemon, garlic and tahini with more veggies and edamame added in. I’ve also been loving oil-free roasted zucchini cooked with just salt and pepper but any spice combo is delicous! You know how I mentioned eating high-volume, well 4 cups of zucchini provides just 16C/0F/6P in 80 calories. Eat all the food!! 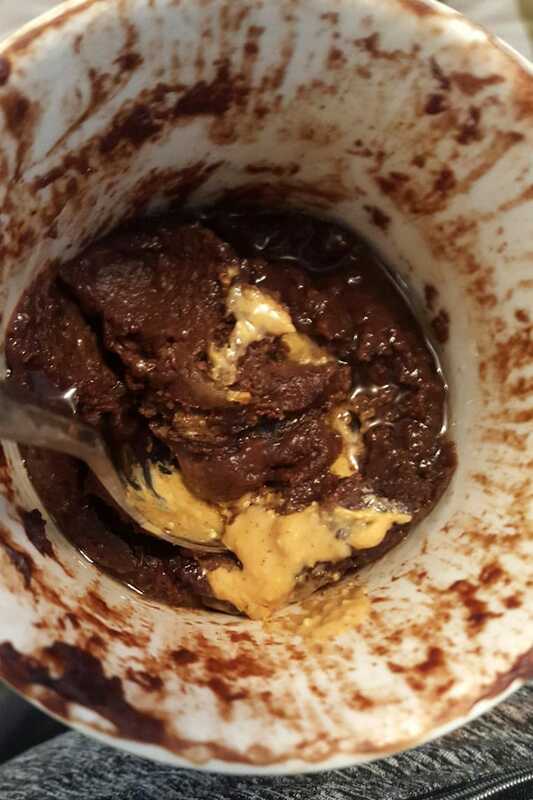 I might not make it if protein mug cakes weren’t a thing. I’d say I have one almost every day, they’re that good. I’m still trying to figure out the perfect recipe but right now I’ve been using chocolate protein powder mixed with cocoa, brown rice flour, baking powder, salt and almond milk. I’ve been making my way through online recipes in search of the best one but I’m usually in a rush and just mix up the ingredients without measuring. I was thinking of doing a post of mug cake recipe reviews so stay tuned for that! If you have a favourite recipe, let me know! 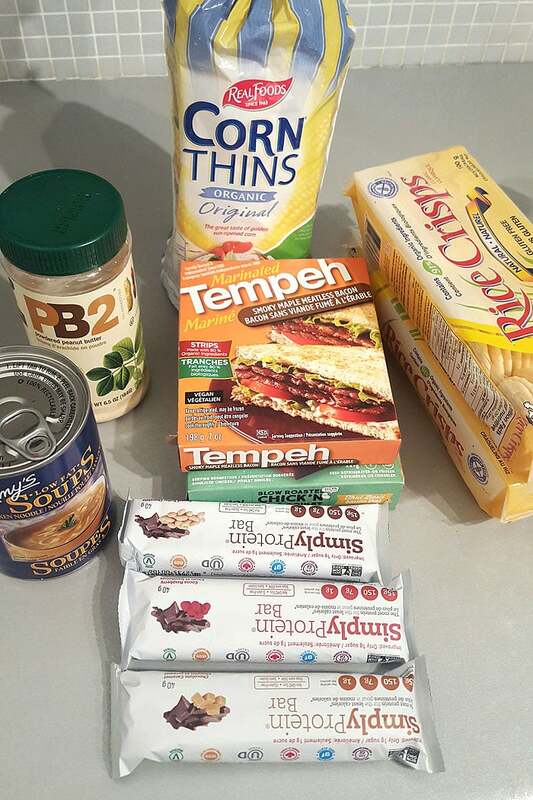 There aren’t a lot of quality store-bought vegan protein bars out there. Simply Protein Bars come in a variety of yummy flavours and each bar provides 16C/5F/15P with 7 grams of fibre and only 150 calories. A lot of other bars have double the fat and carbs for the same amount of protein so I really like to keep a stash of these for snacks in a pinch. They’re also really good crumbled over sliced banana, vegan yogurt or protein pudding! 5. Rice crackers and cakes. Low-carb snack food winner. Top as need based on your macros: avocado or peanut butter for healthy fats, salsa to keep it low-fat, hummus for some protein and carbs, tahini with sliced cucumber, sprouts with black pepper and sliced tomato, chia seed jam and appled with cinnamon, there are so many options. The more creative you can get, the more yummy it can be! Sometimes I like a little treat for watching movies at home but I don’t like drinking pop or diet pop, in comes Zevia. Made with no artificial colours or flavours and naturally sweetened, I don’t mind having these as a treat. I wouldn’t recommend going crazy on them but if you enjoy pop, they’re a great alternative to traditional diet sodas that are full of artificial ingredients. I also enjoy soda water with lemon or stevia water enhancers (I like Stir brand) but most of the time it’s just plain, ol’ water. 7. Thawed frozen mixed berries. Another current obsession. When frozen berries thaw they get all ooey and gooey and juicy and sweet. Plus they’re high in fibre, antioxidants and vitamins and make the perfect sweet snack for my pesky sweet tooth. 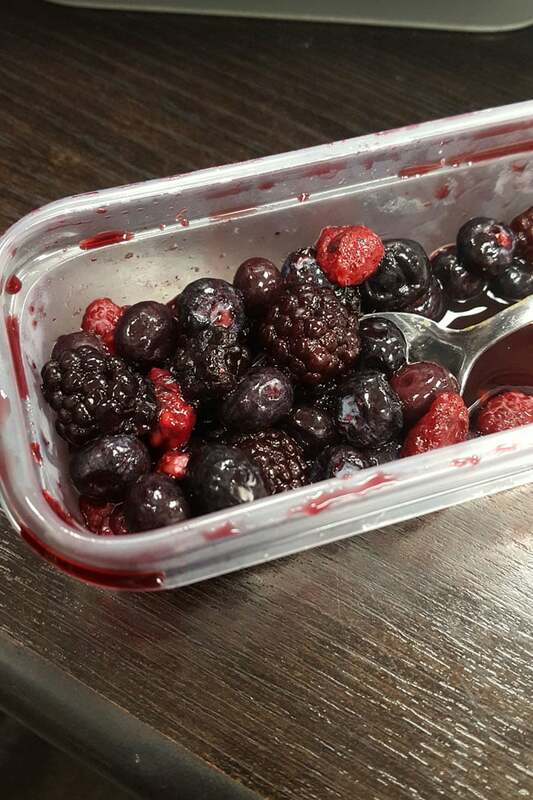 During the week, I add 1 cup of frozen berries to a container in my lunch, then when I’m ready to eat them, they’re perfect. Sometimes I just eat them with a spoon or I’ll have them over my oats, protein pancakes or protein pudding. For 140 grams of berries, you’re looking at 19C/1F/1P, 7 grams of fibre, plenty of vitamin C and even iron. I’m also in love with fresh raspberries at the moment, one cup feels like a lot and fits into my macros easy peasy. 8. Broccoli with lemon, sea salt and tahini. Again, obsessed. Haha. Man, I love food. For 3 cup serving of broccoli, you’ll be getting 18C/1F/7P with 7 grams of fibre, and that’s a pretty big serving! I love to drizzle mine with tahini, lots of fresh lemon juice and sprinkle of sea salt and it’s oh, so good. And again, you’ll be loading up on micronutrients while you’re at it. I often have this as a snack but it’s also great as a side to any meal. Wheat gluten, expeller pressed safflower oil, onions, garlic, apple cider vinegar, naturally flavored yeast extract, chipotle peppers, onion powder, granulated garlic, brown sugar, sea salt, barley malt, spices, black pepper, paprika oleoresin, chili de arbol peppers, cumin and oregano. Not bad. I don’t eat these all the time but they’re really good, a nice treat and awesome in a pinch for a quick and yummy protein source. Try slicing them and adding to a big bowl of zoodle spaghetti or adding them to a tofu scramble, or just eating as is along side veggies. They’re also awesome in lettuce wraps with a little dijon mustard for a quick protein snack! I haven’t found a microwave popcorn that’s vegan or doesn’t’ have yucky ingredients but no worries because I actually have a popcorn popper! Homemade popcorn is healthy alternative to microwave popcorn and you can customize it with whatever toppings you like! I totally forgot about this thing but I dug it out recently have been using it quite a bit. Air-popped popcorn = high-volume macro winner. I even take my own popcorn to the movies, yep that’s me with the hidden Tupperware in my purse. If you have some fat to use up, try your popcorn with coconut oil and sea salt! I sometimes add a drop or two of organic stevia or a tiny bit of homemade date caramel for a sweet and salty combo that is to die for. Best part about it, 4 cups of air-popped popcorn has just 25 grams of carbs, 1 gram of fat and 4 grams of protein. Woo! Love, love, love. Steamed asparagus with salt and lemon? …oh yaaaa. So good, so full of good stuff and 12 spears comes in at just 9C/0F/5P with 5 grams of fibre and a ton of vitamins…so load up!! Another dish I’m completely in love with at the moment! To make them, add about 1 lb. of green beans to a bowl and toss with a drizzle of olive or coconut oil, salt, pepper, garlic powder, a bit of ground flax and bake on a parchment paper-lined pan at 425 for 10-15 minutes. Optionally you can add some nutritional yeast and/or panko bread crumbs for extra coating. 13. Fat-free herbed salad dressing. This is my new favourite way to use up fresh herbs. I don’t track the macros for this since by the time you make it an divide it into servings, it’s more or less calories-free. Start with a few handfuls of fresh herbs, any and all combinations work! I love dill, cilantro and parsley but chives, mint or pretty much anything else would be good. Add them to a blender with plenty of fresh lemon juice, a few cloves of garlic, a bit of yellow or dijon mustard, a little white wine, apple cider or balsamic vinegar, salt and pepper and blend until smooth. You can add other spices or if you want a creamier, higher fat dressing, add in some avocado. I usually add a drop or two of stevia as well just to cut the acidity, maple syrup also works. No need to measure ingredients, just adjust as needed, adding water to adjust the consistency. It’s delicous and makes the perfect salad dressing or sauce for roasted veggies. I love my Ninja Mega Kitchen System for this. The personal-sized blender cups are perfect for dressings and sauces! I use them every single day. You get a blender, food processor and two individual blender cups for around $200. 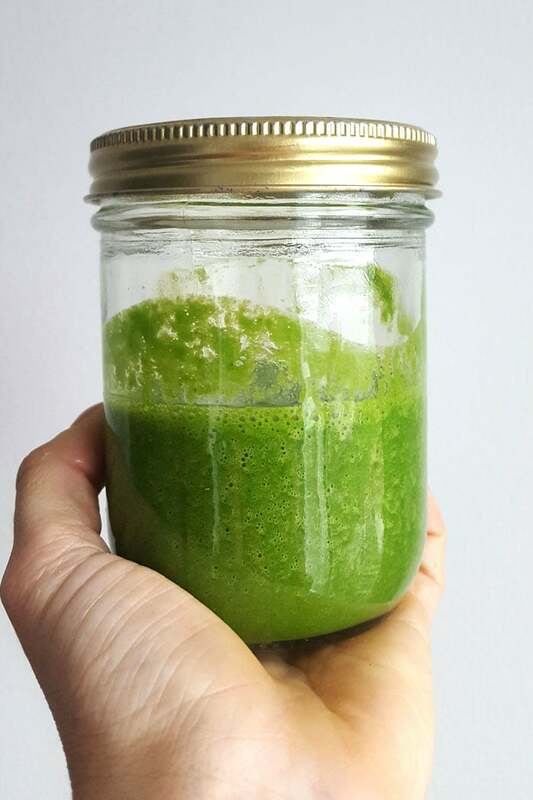 It’s a great investment and more affordable than a Vitamix or Blentec. Buy the Ninja Mega Kitchen System on Amazon (so worth it!!). This has been my go-to dessert for years but it’s come in handy more than ever while I’m tracking macros. There are so many varieties and you can adjust as needed depending on how many macros you have. I usually like to make the ice cream with just bananas and then add toppings like chocolate chips, peanut butter, nuts, raisins or homemade chocolate sauce. Any and all of those combinations are amazing! Get creative and have some fun! For best results, make sure your bananas are frozen completely solid. You may need to slowly add a little water, almond or coconut milk to help it blend. I try to keep the added liquid to a minimum so it stays nice and chunky. I use the Ninja Mega Kitchen System to make mine and it works great! I don’t even know how these work but they do and they’re the best discovery of all time. Simply blend 3 ripe medium bananas with 1/2 cup of cocoa and 1 tsp of baking powder, bake in a loaf pan at 350 degrees for 15 minutes. You can use a masher if you want, rather than blending but I find using the blender makes it extra quick and easy. Make sure your bananas are very ripe for the best taste, otherwise the brownies won’t come out very sweet. If your bananas are less than ripe, you can add a little stevia to the batter to sweeten it up a bit but ripe bananas will provide the best consistency and flavour. Let them cool completely in the pan before slicing, this step is important so try to be patient. I know it’s hard. But cheer up, one brownie is just 13C/1F/1P. Top with peanut butter at your own discretion. Theses are a sweet tooth life saver. 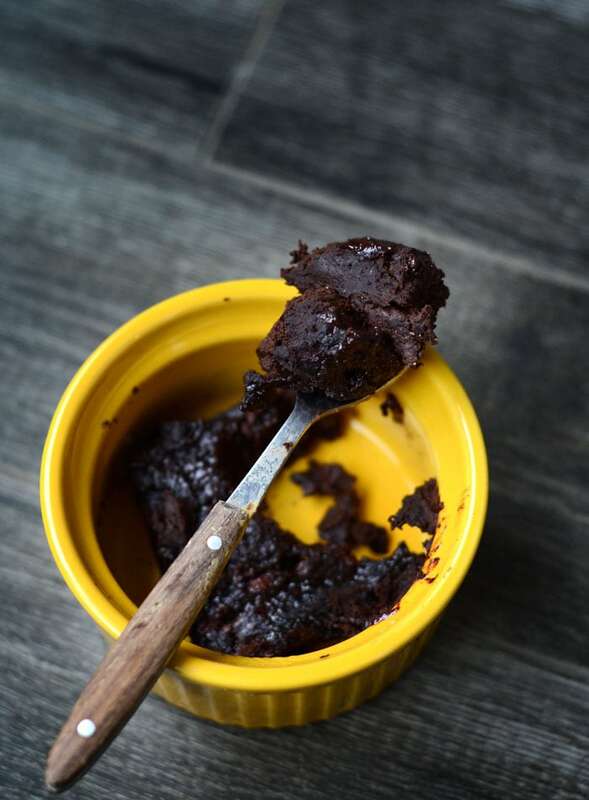 For even more amazing brownies, try my Fudgy Flourless Protein Brownies! So, I love baked fat-free fries, of the potato or sweet potato variety and I love the ketchup that goes along with them. 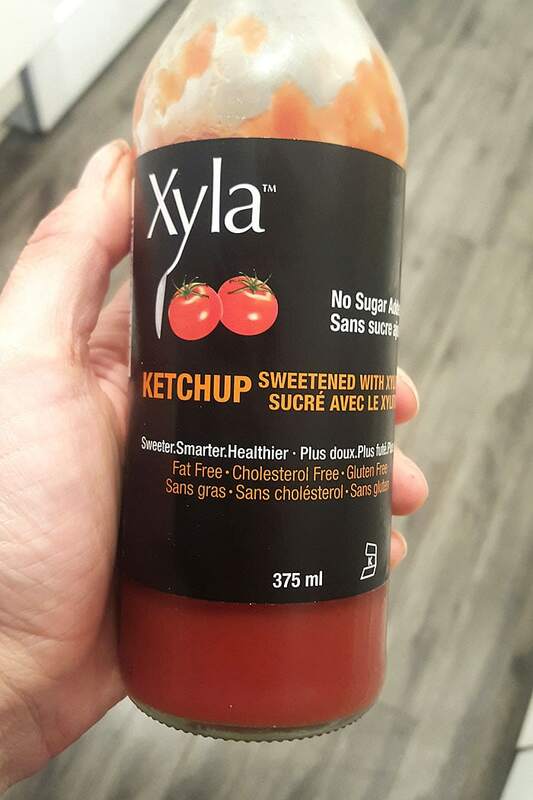 Xyla brand xylitol-sweetend ketchup has no added sugar, a great taste, it’s not overly sweet, there’s no aftertaste and the consistency is perfect. It’s a little pricey but I only use 1 tbsp per serving so it lasts a long time. 17. Baked oat protein bars. I’ve been making these lately for quick weekday snacks, I make them in a loaf pan and cut into 8 bars making each bar just 10C/1F/10P. Simply blend 1 cup of oats with 3 scoops of vegan protein powder then slowly stir in almond milk until it reaches a batter consistency. Pour into a loaf pan and bake for about 15 minutes at 350. If you want them to be more of a treat or more substantial, you can stir in chocolate chips, hemp seeds, raisins, coconut or any other add-in you can think of! I’ve been enjoying this as a fat-free carb source before early morning workouts. Easy, inexpensive, yummy, fast-acting energy. It’s great added to oatmeal as well and I’ve also been using it a lot in baking to reduce or eliminate the amount of oil needed or to help replace eggs. Whatever it’s use, it’s a great staple to have on hand. Who doesn’t love a crunchy dill pickle! I’m a little picky with my pickles but the only ones I like are Klaussen pickles found in the refrigerator section of the grocery store. They’re so crunchy and the flavour is perfect. They make a great fat-free snack when you want something salty. Get your pasta fix and save the carbs for goodies! It only takes a few minutes to cook, there are only 2 ingredients: organic edamame and water, they’re gluten-free, vegan, low in carbs and have a huge 24 grams of protein per serving. You can use this pretty much any way you’d use pasta and it’s easy to fit a big and satisfying serving into your daily macros. So, there you go. Those are just some foods I’ve been including in my diet recently. 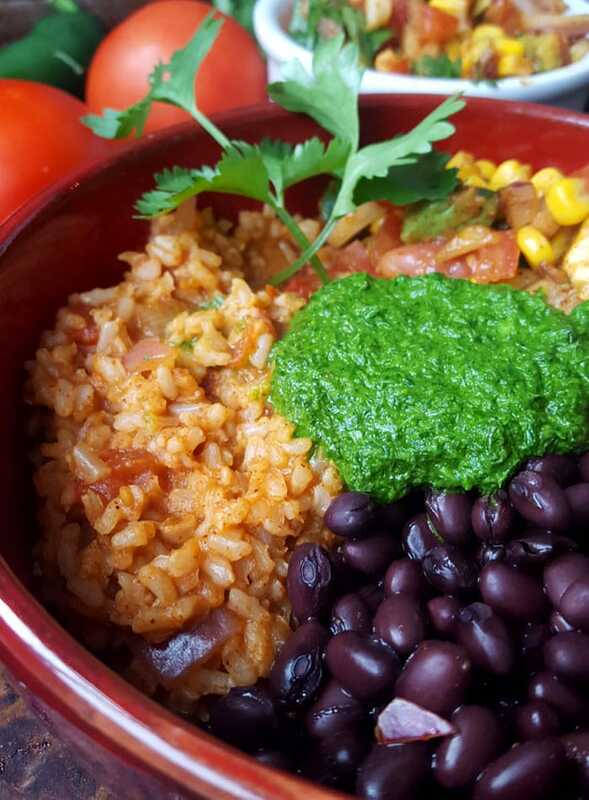 I also posted some other flexible dieting friendly foods in this post, so be sure to check that out too.I hope that list gives you some ideas of how to make plant-based macros work for you. I highly suggest basing your meals and snacks around vegetables. This will give you the most bang for your buck by filling you up and providing lots of important micronutrients. Next, focus on adding a source of protein to every meal meal and snack. My vegan protein go-to’s are lentils, tofu, tempeh, edamame and protein powder. I do get some protein from other sources like beans, nuts, seeds and vegetables but those foods are too high in carbs and fat to use them as my main protein source. I’d recommend limiting the amount of grains you’re eating and opt to fill up on carbs from sources like fruit and starchy vegetables instead. I eat oats every day but I find if I eat other grains like rice or pasta, the carbs add up too fast and I’m left feeling hungry and unsatisfied. I know I’ve listed some processed foods and snacks above, but keep in mind the base of my diet is still whole foods: tons of vegetables, daily servings of fruit, some nuts and seeds, some beans and legumes, some soy and some grains. I have a firm understanding of nutrition and what foods offer what benefits, so I find it quite easy to make plant-based macros work. If you’re just starting out, it may take a while to figure out how to fill different macro ratios up with what foods. The more balanced you can make each meal and snack, the easier time you’ll have overall. Try to have fun with it! I’m most creative in the kitchen when I have a strange combination of macros, like all carbs, or just protein and fat. You learn to make it work and if you stick to it, you will see results and that feels pretty darn awesome! And at the end of the day, if you’re like me ie. not trying to make a weight class or anything, don’t worry if you’re not super accurate and don’t stress yourself out about it. Experiment and enjoy finding out what works best for you…and never stop eating pancakes. Next Post » Tomato Basil Zoodles – Quick and Easy! Well, I’m actually eating pretty high carb and low fat as it is! About 50% of my diet comes from carbs and only 15% comes from fat. Other reasons…firstly, I’m not going to track macros forever, I’m just doing a 12 week personal challenge right now to improve athletic performance. I’m not concerned with calories but I am aiming for a particular ratio of macros to help acheive my goals. I’m happy to track my macros for a while to see what I can acheive in the gym. I’m after performance gains and not aesthetics and that’s what makes it so fun! If I’m leaner, I’ll be more efficient at gymnastics movements like muscle ups and just faster and stronger all-around! To build the muscle and create the change in body composition I’m after, I do feel I need more protein than than someone who doesn’t have a highly active lifestyle and may not need to focus on protein as much. I lift heavy weights and train hard 5-6 days a week and need protein to recover and continue building strength. I’m not eating a huge amount of it either, just what works for my body and my goals. Now I REALLY want to try the SimplyProtein bars! 😀 I’ve also loved making banana protein shakes with 1 cup of frozen bananas, a scoop of protein powder, ice and sometimes cacao powder; with the edamame spaghetti it’s great with tofu and peanut sauce. I love every hack you’ve mentioned in this post! LOVE these posts. i just found your blog a couple weeks ago and I am THRILLED. With the banana brownies, do you know approx. how many ‘servings’ that would give you? I think usually 8-10 brownies if you make them in a loaf pan. So happy you’re finding it helpful! Glad you found it too. Thanks for the comment! I just found your blog and I’m so glad that I did! I have been trying to track macros as a vegan for months now and it has been incredibly frustrating at times…so much so that I have given up a few times. It just seems so overwhelming because everything has carbs!! I think I’m over complicating things though :/ Thank you for your ideas and tips. It’s a little less scary to me now. I really appreciate your posts!! I try to eat a plant based diet and have been wanting to track my macros as well so hearing about your experience is very motivating! I also wanted to let you know that if you put dry popcorn kernels into a brown paper bag and microwave it then you have microwave popcorn without the fat and unhealthy ingredients. Super easy! Thanks again! That’s awesome, thanks for the popcorn tip! I’m so glad you found my posts helpful!! For the banana brownies – What is the calorie count? Each brownie is 13 grams of carbs, 1 gram of fat and 1 gram of protein, which would be 65 calories each. They’re basically just banana, so it’s very low.